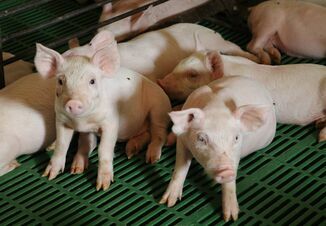 New research from North Carolina State Veterinary Medicine may help predict outbreaks of the deadly porcine epidemic diarrhea virus (PEDV) that causes high mortality rates in preweaned piglets. 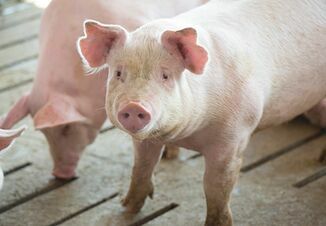 Researchers created an algorithm that could give signal to pig farms when PEDV is expected to hit. “Our end goal is to have near real-time risk predictions so that farmers and veterinarians can provide preventative care to high-risk areas and make decisions based on data,” says Gustavo Machado, assistant professor of population health and pathobiology at NC State. The proof-of-concept algorithm has potential for use in real-time prediction of other disease outbreaks in food animals, researchers say. Machado, corresponding author of a paper describing the work, developed a pipeline utilizing machine-learning techniques to create an algorithm capable of predicting PEDV outbreaks in space and time. Machado, with colleagues from the University of Minnesota and Brazil’s Universidade Federal do Rio Grande do Sul, used weekly farm-level incidence data from sow farms to design the model. They incorporated pig movement types, hog density, and environmental and weather factors such as vegetation, wind speed, temperature and precipitation. The researchers looked at “neighborhoods” that were defined as a 10-km radius around sow farms. After feeding the model information about outbreaks, animal movements into each neighborhood and the environmental characteristics inside each neighborhood, the model could predict PEDV outbreaks with approximately 80% accuracy. When predicting PEDV spread, the most important risk factor was pig movement into and through the 10-km neighborhood, although researchers pointed out that neighborhood environment – including slope and vegetation – also influenced risk. 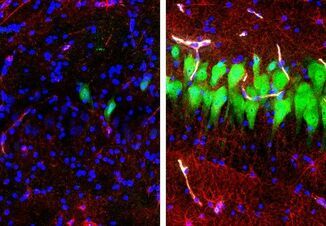 Researchers plan to continue improving the model to predict a wider range of diseases and expanding it to include other industries. The work appears in Scientific Reports, and is supported by the National Pork Board and the Swine Health Information Center. Stop Swill Feeding to Prevent African Swine Fever in the U.S.